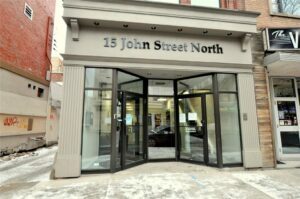 Welcome to 15 John St. North located in the hub of downtown Hamilton. This 3 story brick office building comes with a reception area, boardroom, 5 office spaces (currently tenanted) and a huge 3rd story room that currently acts as an office but is also ideal as a 1 bedroom loft apartment with kitchen and 4 piece bath. There is a 2 piece bath on the 2nd level and a new his & hers bath in the lower level. The lower level also has a large storage room. The alleyway to the left of the building is deeded allowing access to the back of the building and there is ample parking one block away for a fee of approximately $50 – $100 per month. Additional features and updates include a new air conditioner, roughed in central vac and $70,000 invested to refurbish the exterior brick. 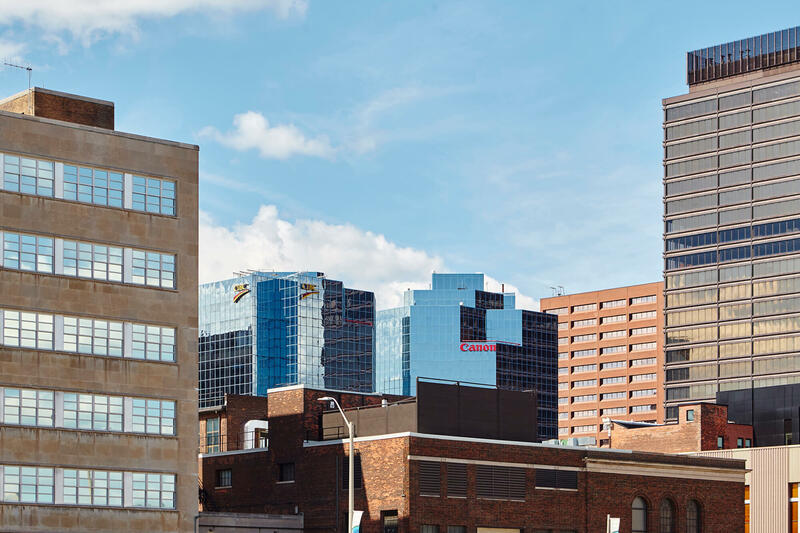 The downtown core is vibrant with numerous expansions, renovations and new buildings including offices, restaurants, shopping, and condo living to name a few. 24 Hours Notice for showings.